As a member of her own unit called See-Saw, Yuki Kajiura created the song "An'na ni issho datta noni" (Although We Were Always Together) for the ending theme of the anime "Mobile Suit Gundam SEED" and the song debuted at #5 on the Oricon chart. Also, See-Saw's album "Dream Field" reached #7 and as of last year, her CDs have surpassed 3,500,000 copies sold. In 2003, she released her solo album "FICTION" in America and Europe. From 2004 she began activities with her solo project called FictionJunction, and got the project going picking its first vocalist, YUUKA. They released 7 singles and 2 albums. Of special note, both albums made it into the best 10. Since 2007, Yuki Kajiura has been in charge of the music for all 7 of "The Garden of Sinners" (Kara no Kyokai) film adaptations, and in addition to that started the music project she put together, Kalafina. 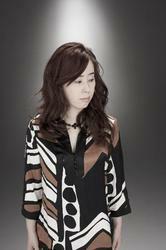 In 2008, Yuki Kajiura held her first live. Also, she held a collaboration live with Revo of Sound Horizon in Kobe, Yokohama, and Tokyo which brought together around 10,000 people. Other things Yuki Kajiura has done includes being in charge of the music for the movie "Akiresu to Kame" (Achilles and the Tortise) by internationally renowned movie director and lead actor, Takeshi "Beat" Kitano, and even now, she continues pursuing a Kajiura World.